On October 5, Metalville Records will reissue a physical digitally remastered CD edition of American progressive metal band CRIMSON GLORY‘s self-titled album, licensed from the Roadrunner Records archive. 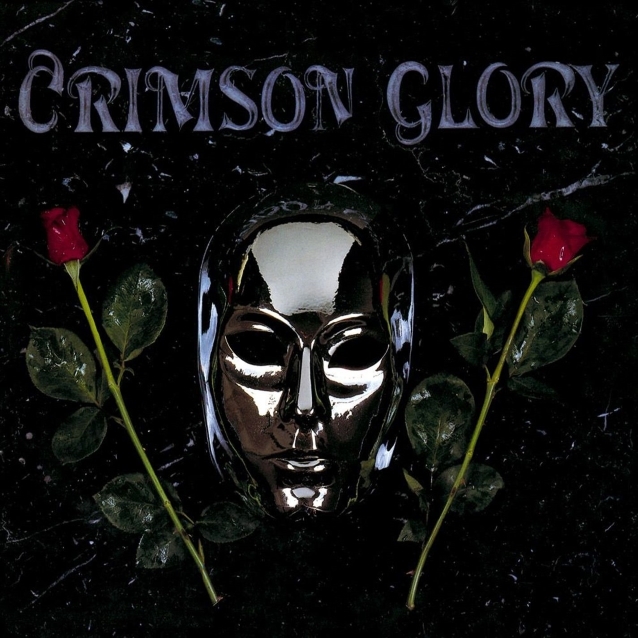 CRIMSON GLORY formed as early as 1982, but it took until 1986 for their self-titled debut album to be released. The band initially drew much media attention because of their mysterious silver masks, but they had an astoundingly powerful vocalist in the enigmatic Midnight and in guitarists Jon Drenning and Ben Jackson, a team capable of supplying excellent harmonies and truly beautiful melodic lines. These talents were made evident on classic metal anthems like “Angels Of War” and the epic “Heart Of Steel”. CRIMSON GLORY is as good as American metal gets — witness the driving “Dragon Lady”and the absolute classic “Azrael” for proof. Ultimately, “Crimson Glory” is a very fine album that has withstood the test of time much better than you’d expect. La Torre, who joined QUEENSRŸCHE in June 2012 as the replacement for Geoff Tate, became an official member of CRIMSON GLORY in April 2010 and played a number of shows with the band during the subsequent two years. A “raw” version of a new CRIMSON GLORY demo track entitled “Garden Of Shadows” was released in September 2012 and was supposed to appear on the band’s new concept record. La Torre made his first public appearance with CRIMSON GLORY at ProgPower USA X as one of seventeen guest performers paying tribute to John Patrick Jr. “Midnight” McDonald, the band’s original singer. Midnight passed away in 2009 due to long-term health complications.